A collection of incredibly realistic and accurate depictions of Surfing and Body Boarding! 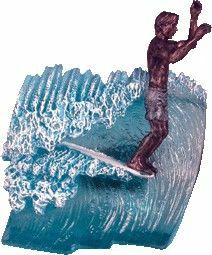 The Artists; Phil Roberts, Perry Faanes and Ryan Faught have created Resin Sculptures that capture the feel of riding the perfect wave--every Surfer's dream. Quantities are really limited, so HURRY before they're all gone!!! 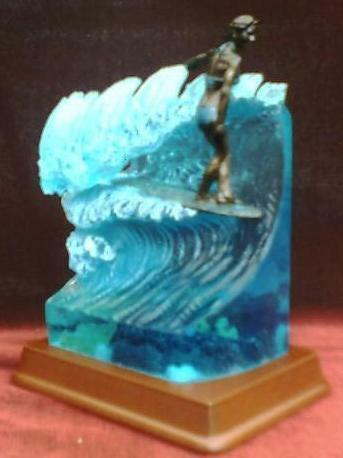 Small Male Hang Ten Resin 3" high. 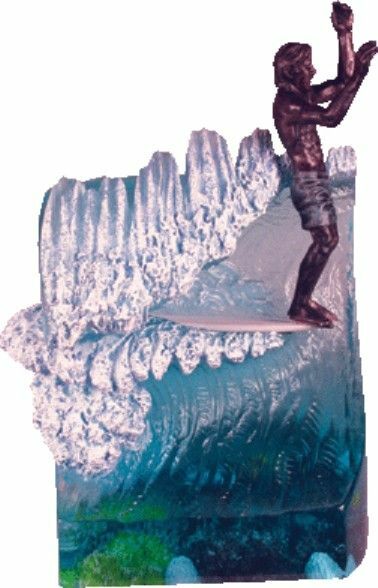 Medium Male Hang Ten Resin 5" high. 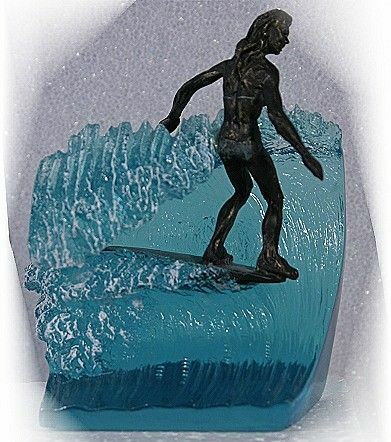 Small Female Hang Ten Resin Sculpture 4" high. 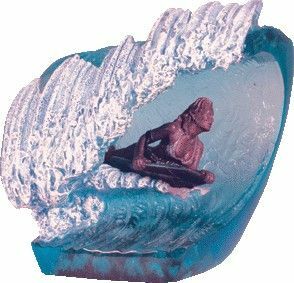 Medium Female Hang Ten Resin 5" high. 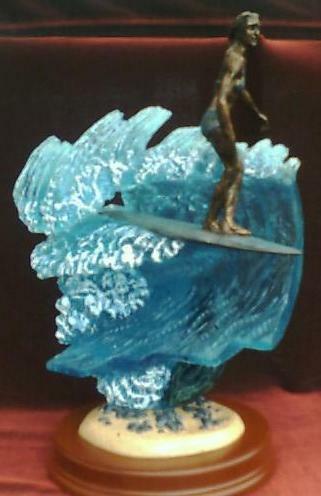 Large Female Hang Ten Resin Sculpture, 10" high. 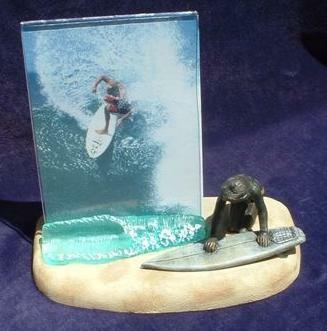 Small Male Body Boarder Resin, 3" high. SOLD OUT!! Medium Female Body Boarder Sculpture 5" high. 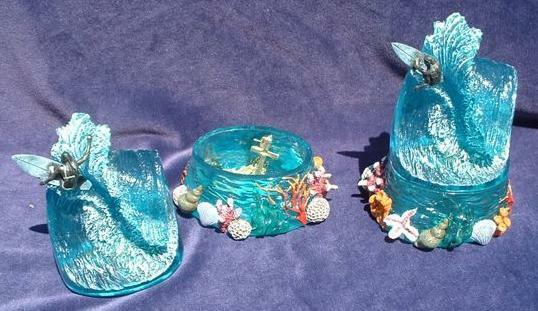 Medium Female Cutback Trinket Box Resin Sculpture 5" high. SOLD OUT!! 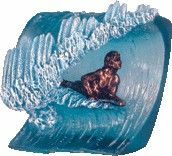 Medium Female Tube Ride Trinket Box Resin Sculpture 5" high. Female Picture Frame Resin Sculpture 6" high.